So, back in December, I chose Vikram Seth’s other book “An Equal Music”. I really enjoyed it! 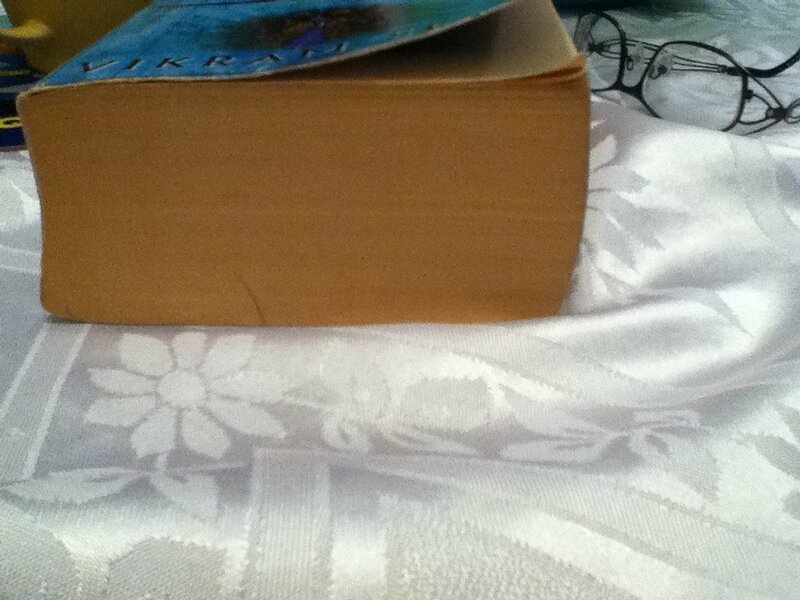 Which is why I decided to take on Seth’s “A Suitable Boy”, despite the daunting size. Since it is going to take me a long time to finish, I might as well share my thoughts as I go along. The story takes place in India, a few years after the country gained its independance. Supposedly the book is about a widowed mother’s search for a suitable husband for her daughter, but the book is actually about so very much more. My faith in Seth’s ability to tell this tale without makingit sound like a Bollywood film seems (so far, at least!) well justified. There are lots of references to books, for example. I loved the part about the argument among the lectureres in the English Dept at the University whether or not to add Joyce to the curriculum! Meanwhile, I was able to read a great short story over lunch, in the October 14 edition of the New Yorker Magazine: “Katania” by Lara Vaphayar. Great! The author seems to be telling a simple tale about girls playing with dolls in the former Soviet Union, and then what happened to them as adults. Yet she manages to include so much more, such as thoughts about freedom, material possesions. Thought about it for several days afterwards.